Would you let your grandmother play matchmaker? When you're approaching thirty it's normal (if not incredibly annoying) for your family to ask when you'll tie the knot and settle down. But for Raina there's a whole community waiting for someone to make her a wife - and a loving grandmother, Nani, ready to play matchmaker with a comprehensive list of potential husbands. Eager not to disappoint her family, Raina goes along with the plan but when the love of her life returns - ex-boyfriend Dev - she's forced to confront her true feelings. Now her 'clock is ticking', it's time for Raina to decide what she actually wants. Will Raina let her family decide her future, or can she forge her own path? THE ARRANGEMENT is a funny and thoroughly enjoyable read. 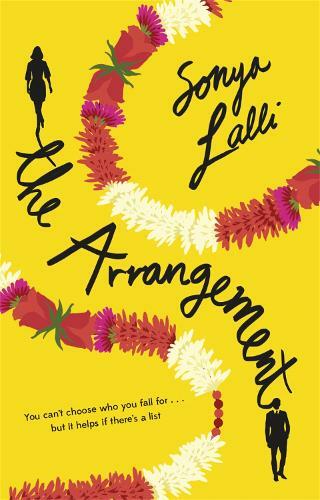 Sonya Lalli had me rooting for Raina as she faced the pressures of her family's expectation. It's an engaging and very entertaining debut -- EMILY KERR, author of Who Does He Think He Is?